Online survey tool to create online surveys fast, easy & free! Create survey with our free and easy to use online survey tool. You can create unlimited surveys with unlimited questions, add logo and customize your survey theme that match your brand, our survey tool makes it easy to create great looking surveys. 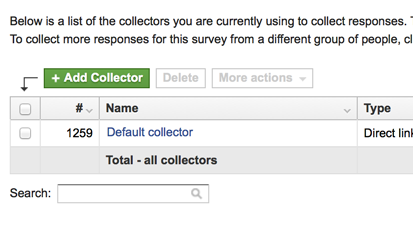 Collect responses to your survey using multiple collectors. Share a link to your survey through email, Facebook, Twitter or your blog. Embed survey directly into your web page. Make survey analysis easy with a full set of reporting features such as real-time summary, pivot tables, segmentation tools, trend analysis, and text analytics. Export your survey data to Excel, CSV. Online Survey Software - Powerful, Easy & Free. Inqwise is an online survey software tool that makes it easy to create online surveys. Whether you're looking for to do an advanced survey or gather customer feedback. Inqwise can help you create online surveys to collect and analyze data. With our online survey tool, you can create online surveys, deploy them online and analyze them to get the answers you're looking for. Build surveys quickly and easily with an intuitive editor. With most common question types including rating scales, multiple choice, matrix tables and more, it's easy to create survey from scratch. 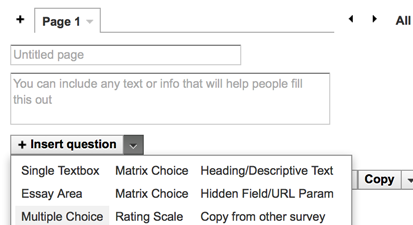 Customize the look of your survey. Add logo, company name, colors, and images. Collect responses in real-time. Distribute your surveys using web links, emails, social media, QR codes, and more. Real-time updates and notifications. 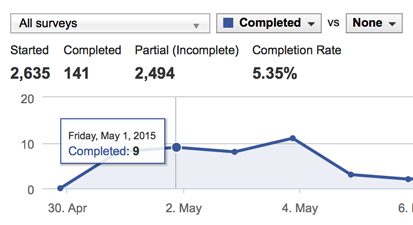 Gain insights with charts and graphs. Get the most out of your data and act faster. Create and Send an unlimited number of surveys with our FREE plan. Create and analyze your survey easy. The powerful survey software features help you gather the reliable data using our online survey tools. View your data as it comes in, keeping it to yourself or allowing others to see it. Trusted by thousands of organizations and business. Inqwise PRO plans enhance your ability to gather & interpret information with advanced analytics and more. Copyright © 2011 - 2019 Inqwise Online Survey Software. All rights reserved.